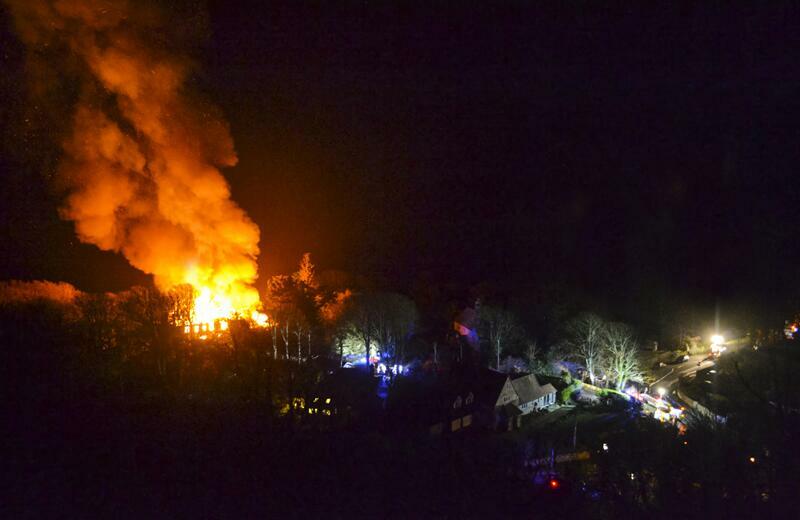 A two-storey block of flats on the Isle of Wight has been destroyed by a big fire. It broke out on Puckaster Lane in Niton near Ventnor at about 5pm yesterday evening (Wednesday 5 March). It took firefighters about six hours to get the fire under control. No-one has been hurt but the building was completely destroyed, with the roof collapsing. Fire crews will return to the scene today (Thursday) to investigate the cause. Video and photos from ShaneThorntonPhotos.